I begin teaching vibrato away from the bass and insist that student DO NOT try vibrato on the bass until this process is finished. The first exercise I teach is the ‘skin wiggle’. (Thank you to Mr. Vacanti at G. Ray Bodley for teaching me this!). Put the left hand on the right arm as if the right arm is the bass neck and the left hand is putting all four fingers down. Then, from the the elbow, move the skin up and down as if the left arm is in a cast – do not let the wrist collapse or hand deform in shape. Do this IN RHYTHM – up and down to 1 & 2 & 3 & 4 &. After a week or so I teach the next exercise. This is the one that most students associate with vibrato. With all four fingers down, rotate the forearm to move the first finger toward the right arm. Again, don’t let the wrist collapse or move during the motion. Students will often do some weird wrist bending when first learning vibrato. Tell them to start the vibrato from their elbow and just think of rotating the two forearm bones (radius & ulna). Try it in the air first and then add it to the bass. 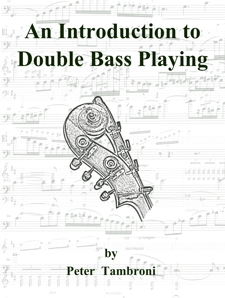 Setup the hand on either the bass or the right arm for a first finger note. Then, fairly aggressively, throw the finger back to knock the knuckle. Any tips on bass guitar vibrato…by the way these videos are spot on.